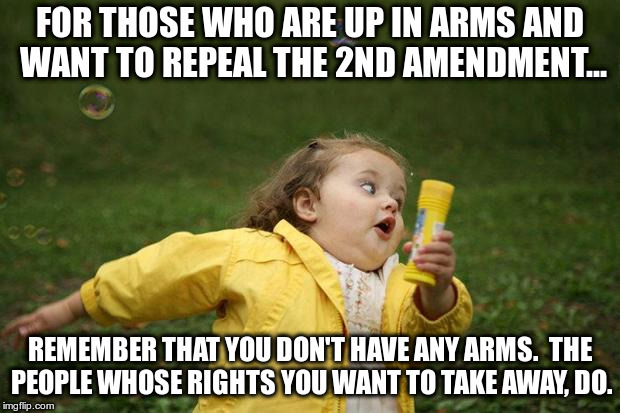 FOR THOSE WHO ARE UP IN ARMS AND WANT TO REPEAL THE 2ND AMENDMENT... REMEMBER THAT YOU DON'T HAVE ANY ARMS. THE PEOPLE WHOSE RIGHTS YOU WANT TO TAKE AWAY, DO.